Explore the UNESCO-listed city of Sintra on this 5-hour small-group tour from Lisbon. 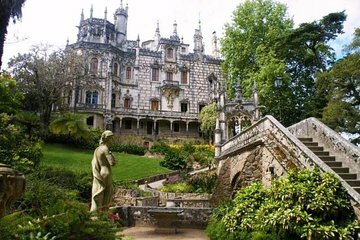 Visit some of the area’s most regal locations such as Quinta da Regaleira and Sintra National Palace. Walk around the charming historic center as you listen to the history of the area from your guide. You also have time to visit Pena Palace independently, if you wish.